Sylvie Kauffmann is editorial director and columnist at the French newspaper Le Monde. She was the editor-in-chief of the paper in 2010-2011. She is also a contributing writer for the Opinion pages of the New York Times. 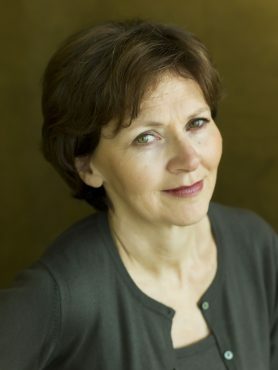 She joined Le Monde in 1987 as Moscow correspondent. From 1988 to 1993, she covered, as Eastern and Central Europe correspondent, the collapse of the Soviet empire and the transition of new European democracies to market economy. She then moved to the United States, first as Washington correspondent and then, from 1996 to 2001, as New York Bureau Chief. Back in Paris just before September 11, she went back to the US several times to cover the aftermath of the attacks as reporter-at-large, a job that took her also to Latin America. She then headed the in-depth reporting section of Le Monde. From 2004 to 2006, she held the deputy editor position of the newspaper. For the next three years, she was reporter-at-large in Asia, based in Singapore, and wrote a weekly column on Asia. Before joining Le Monde, Sylvie Kauffmann worked for Agence France Presse, as a foreign correspondent in London, New Caledonia (South Pacific), Warsaw and finally in Moscow.